Devastated after losing her job, eternal pragmatist Alice leaves London for a new start in Devon. It’s there that she meets Danny. Then she meets another Danny. In fact, there seems to be a Danny at every turn! Her neighbour’s a Danny; there’s little baby Danny; there’s a vicar, a windsurfer, even a dog called Danny! And whether it’s laughter, comfort, a flutter of romance or a walk along the beach, they each bring something special to Alice’s new life. You might say it’s a coincidence. Alice certainly would… at first! But when she suddenly risks losing not just one Danny, but all of them, she begins to wonder: might there be more in a name than she ever guessed? In his guest post, Trevor talked about Carina UK’s covers and honestly, that is part of what drew me to the book (and publisher) to begin with. The books kept me coming back to the publisher and this book has made me a fan of Trevor’s for life. 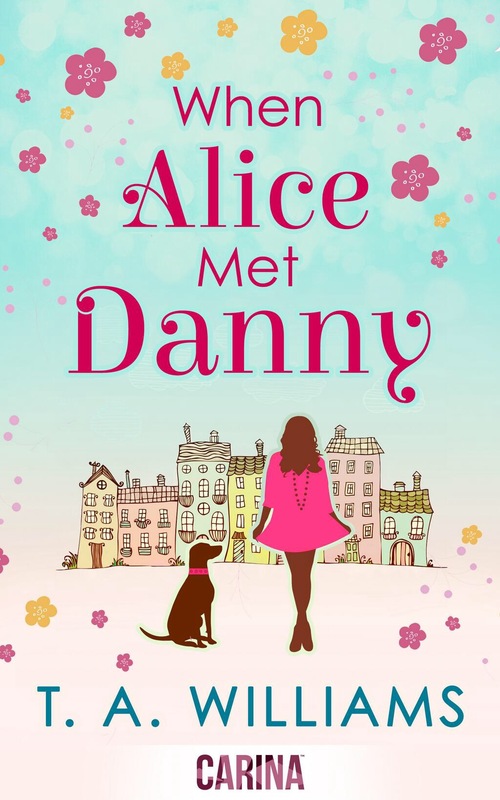 When Alice Met Danny started with Alice losing her job and trying to figure out what she was going to do next. Enter Danny #1: The Co-worker. (We saw him a few times throughout the book.) Alice decided to leave London and head for the country where she found a house for auction and made a bid – sight unseen. This is where I think I bonded with Alice. I’m almost positive I would have the same luck she did. With the house and the relationships. During Alice’s time with her new house, enter Dannys #2-?. (The question mark for two reasons…no spoilers and I didn’t keep track.) Of all of the Dannys, there was only one I wasn’t a fan of at the end. I wanted to kick that Danny. 🙂 Throughout the book, it was like a game to see if the next personal Alice met would be a Danny and I started to make bets with myself. So much fun! There were several other characters that I fell in love with also and hope to have those types of friends in my life someday. There were one or two others that belonged on the kick-list also. I could probably talk about this book for another hour or two, but I would end up with spoilers shortly so I’ll stop here. Thank you, Trevor, for proving that men can write chicklit (and very well!)!! 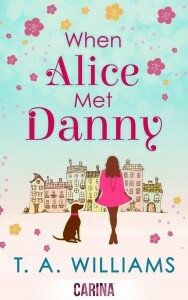 When Alice Met Danny is definitely one of my new favorites. One that will be read several times over the years to come and hopefully Carina UK publishes this one in paperback in the near future!! Also, a sequel would be great! (Hint, hint!) Readers, just go buy!! I’ve written all sorts: thrillers, historical novels, short stories and now I’m enjoying myself hugely writing humour and romance. Romantic comedies are what we all need from time to time. Life isn’t always very fair. It isn’t always a lot of fun, but when it is, we need to embrace it. If my books can put a smile on your face and maybe give your heartstrings a tug, then I know I’ve done my job. I‘ve lived all over Europe, but now I live in a little village in sleepy Devon, tucked away in south west England. I love the place. That’s why you’ll find leafy lanes and thatched cottages in most of my books. Oh, yes, and a black Labrador. I’ve been writing since I was 14 and that is half a century ago. However, underneath this bald, wrinkly exterior, there beats the heart of a youngster. My wife is convinced I will never grow up. I hope she’s right. JOIN KARAN’S LIST FOR MONTHLY EMAILS WITH BOOK RECOMMENDATIONS AND UPDATES! I have reviewed 0 books so far this year. My goal is 150.